Note: pattern is worked in a spiral, so do not chain to start a new round and do not sl st to join to end the row. Use stitch markers to keep track of the start of a new round. Cut 2 strands of green yarn 28″ long. Lay bag flat with seam directly in back and place two stitch markers one either side of Round 23. This will be where you will put your straps. Thread yarn needle with one of the green strands and weave in and out of the stitches, starting at one stitch marker and ending at the same stitch marker. Do the same with the other strand. BE CAREFUL when weaving the strands through the stitches not stitch into the other strand or the stitches themselves, or this will keep the bag from cinching properly and ruin your strands. If you have any questions, leave me a comment and I’ll get back with you! This entry was posted on Monday, April 1st, 2019 at 8:00 AM by Amy	and is filed under Free Crochet Patterns. You can follow any responses to this entry through the RSS 2.0 feed. You can skip to the end and leave a response. Pinging is currently not allowed. This is a darling treat bag! 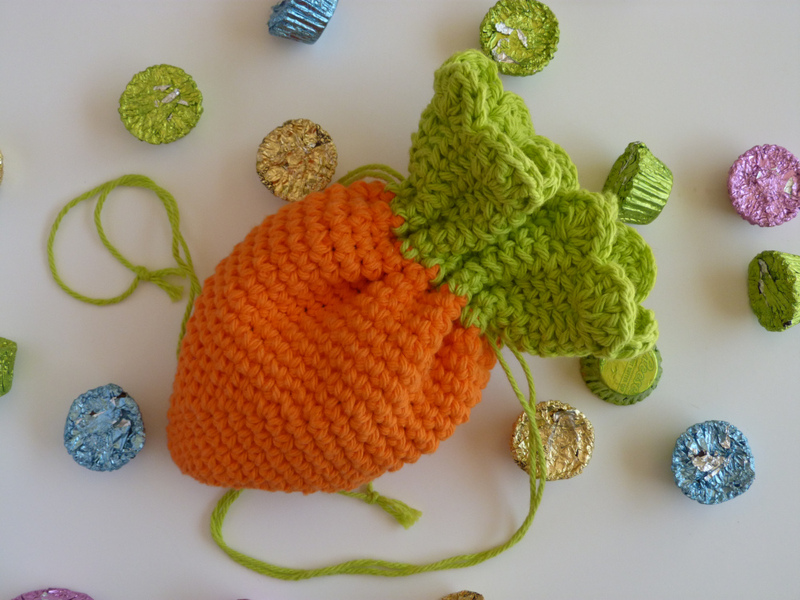 Would you consider selling a carrot cinch bag already made? 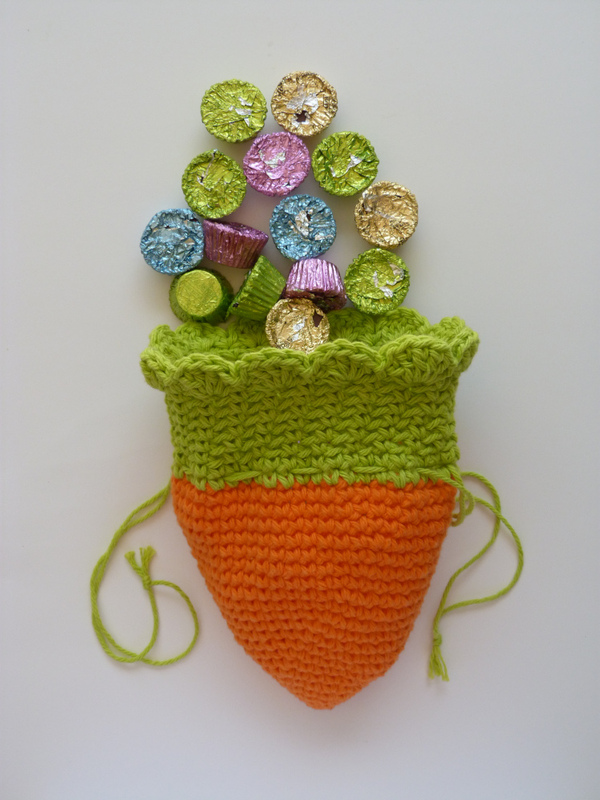 Your bag on Easter with her Easter candy and small gifts. I know she would love it as it is so cute and a perfect little bag. I know it would be a big hit. Thanks for your interest! I would love to crochet this bag for you. Let me send you an email and we can discuss it further there.